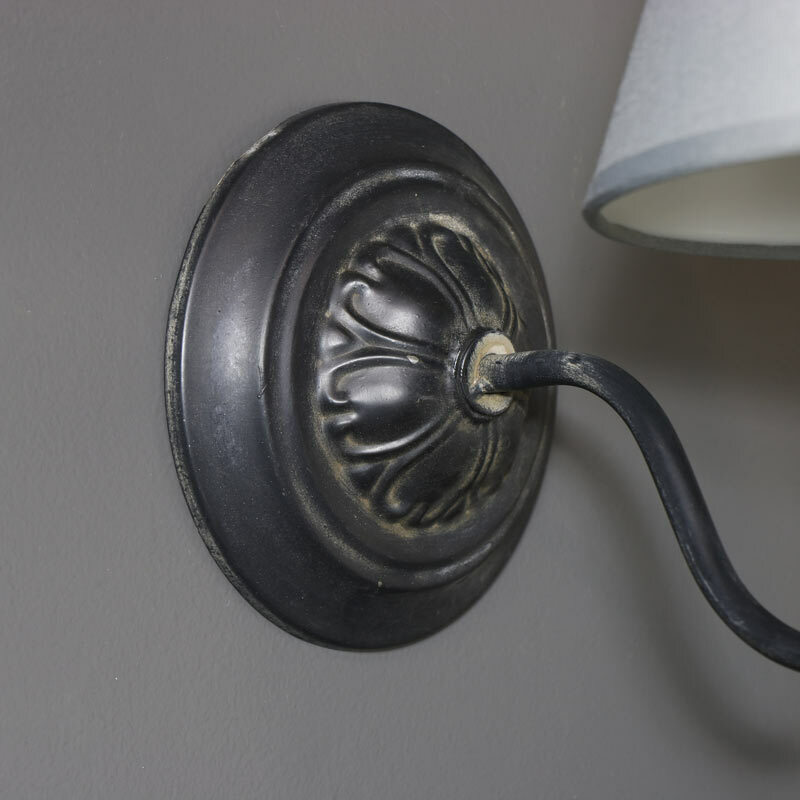 Add some soft lighting to your home decor with this vintage sconce style wall light. Black metal arm with a grey linen shade, this will add a vintage feel to the living room or hallway. Offering a rustic theme that will help to create a warming atmosphere. Elegant effect used singly or in pairs the lamp features a black metal arm in a charmingly rustic finish and topped with a tapered grey linen shade. We have a choice of wall light fixtures for you to choose from and create just the right look for your interior. 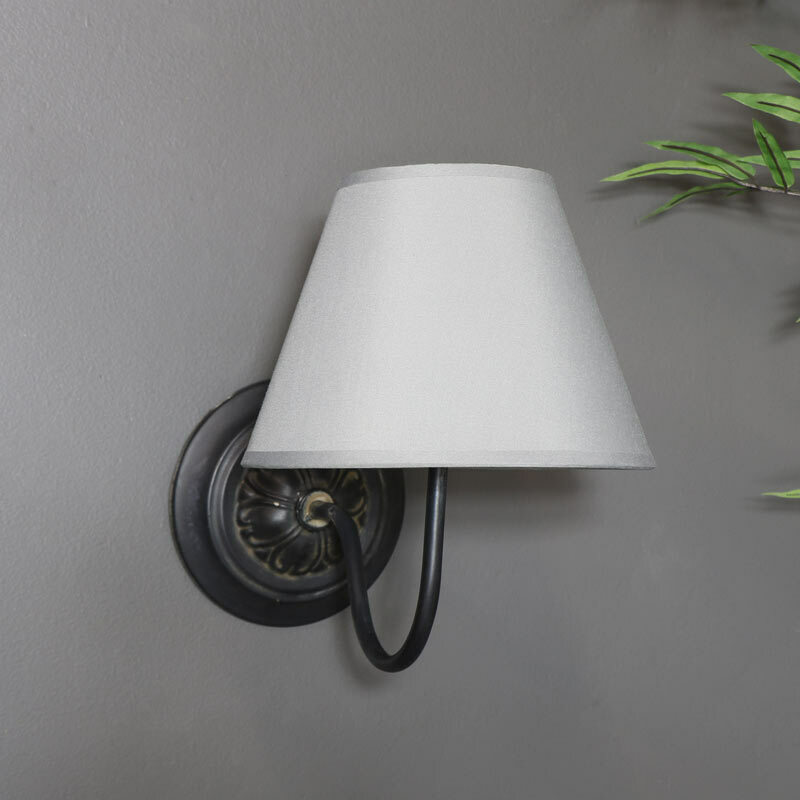 Add some soft lighting to your home decor with this vintage sconce style wall light. Black metal arm with a grey linen shade, this will add a vintage feel to the living room or hallway. Offering a rustic theme that will help to create a warming atmosphere. Elegant effect used singly or in pairs the lamp features a black metal arm in a charmingly rustic finish and topped with a tapered grey linen shade. We have a choice of wall light fixtures for you to choose from and create just the right look for your interior. Constructed with a metal backplate and arm in a grey distressed, aged finish. We have a selection of wall lights, ceiling pendants and table lamps for you to add just the right amount of lighting you need for your home.